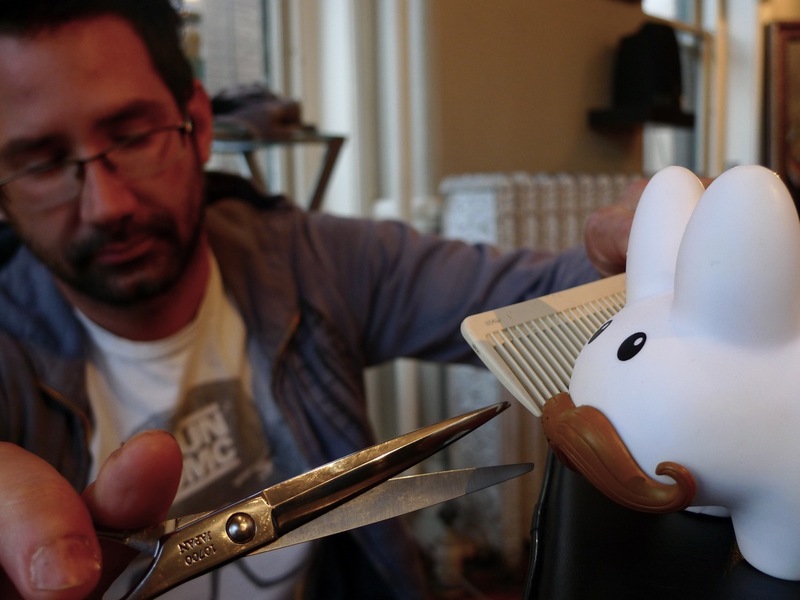 Pipkin was feeling like his 'stache needed a little help. Not content with hitting up just any old barber, he decided to go with the best: Nick Sansone at Moda Suo Salon in Keene, New Hampshire. If anyone understands texture and color, it's Nick. 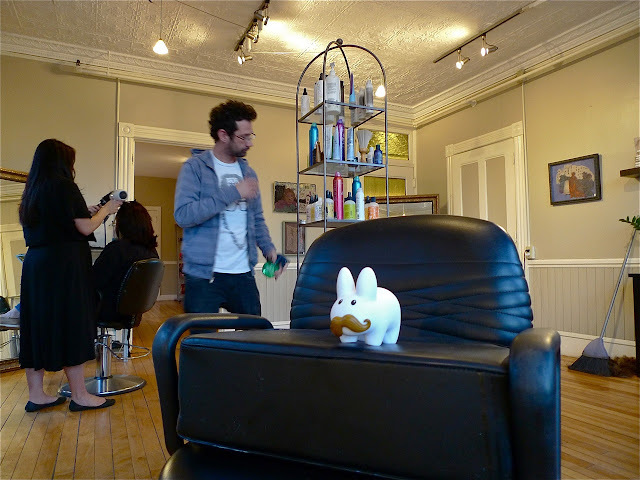 So Nick broke out the booster seat for Pipkin, gave the 'stache a trim and carefully chose the right Bumble and bumble products to help Pipkin keep those rich warm tones and maintain proper 'stache grooming. Pipkin's looking quite handsome now!